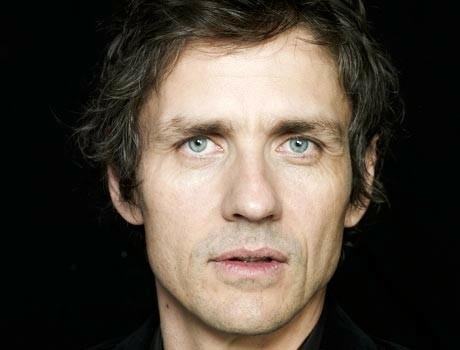 Dean Wareham (born Michael Dean Wareham, August 1, 1963) is an American musician, who formed the band Galaxie 500 in 1987. Born in Wellington, New Zealand, Wareham moved with his parents to Sydney, Australia, before settling in New York City in 1977. Wareham attended high school at Dalton School in New York, and then attended Harvard University, where he graduated with a B.A. in Social Studies. He left Galaxie 500 in April, 1991 and founded the band Luna. Since Luna's breakup in 2005, Wareham has released albums with fellow Luna bandmate (and wife) Britta Phillips (see Dean and Britta). He also works as a film composer, notably on the Noah Baumbach film The Squid and the Whale, and has been an occasional actor. Wareham has written a memoir about his years in indie rock. The book recounts his experiences in music, from high school in New York City in the 1970s through his years in Galaxie 500 and Luna. Titled Black Postcards, it was published by Penguin Press in March, 2008.